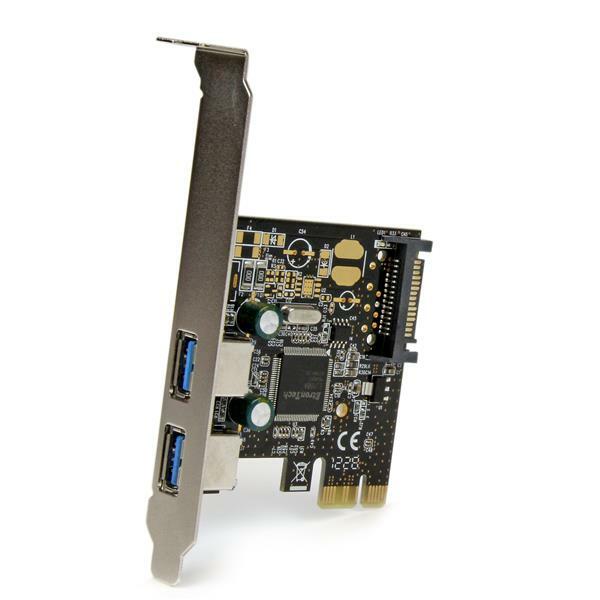 The PEXUSB3S23 2-Port PCI Express USB 3.0 Card lets you add two USB 3.0 ports to any PCI Express-enabled computer system. 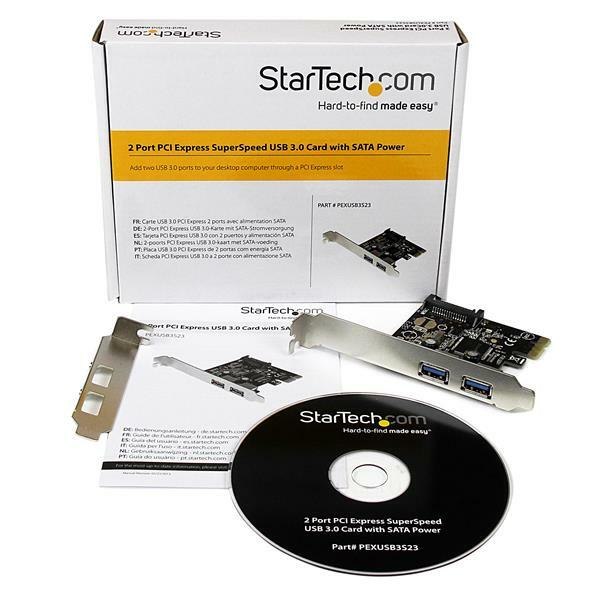 The USB card requires SATA power for functionality, and delivers 900mA of power per port to USB 3.0 bus-powered devices (500mA for USB 2.0) via your computers SATA power connector. 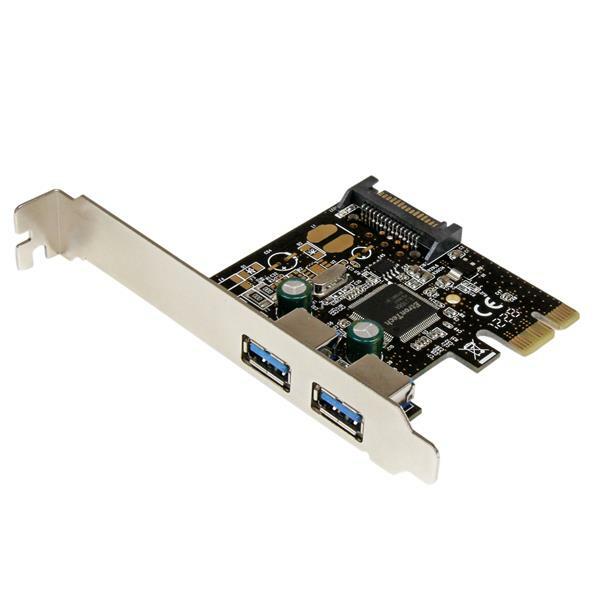 Yes, it is required to use the included power connector with this card. Additional power is required above what the PCI or PCI Express slot on the motherboard is able to provide. 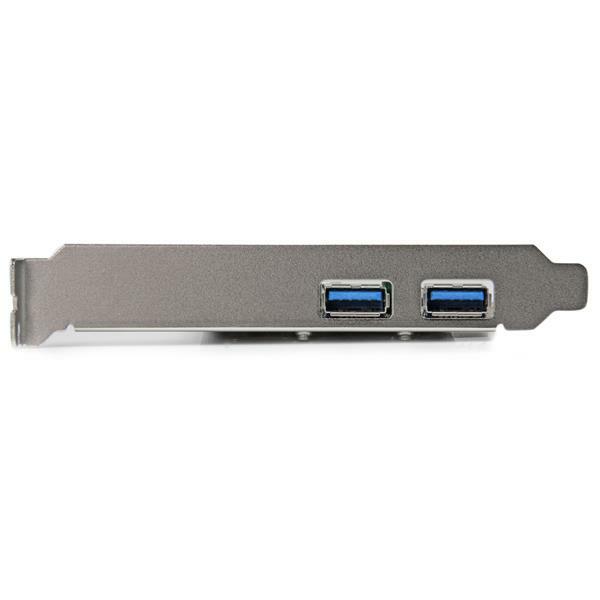 If the power connector is not used with the card, the devices used with the card are not likely to function correctly, and the ports on the card will not be able to output the maximum amount of power USB is capable of. In the list of extracted files, right-click the Etron_EJ168A_USB3_Driver_Setup.exe file and select Run as Administrator. In the list of extracted files, double-click the Etron_EJ168A_USB3_Driver_Setup.exe file.